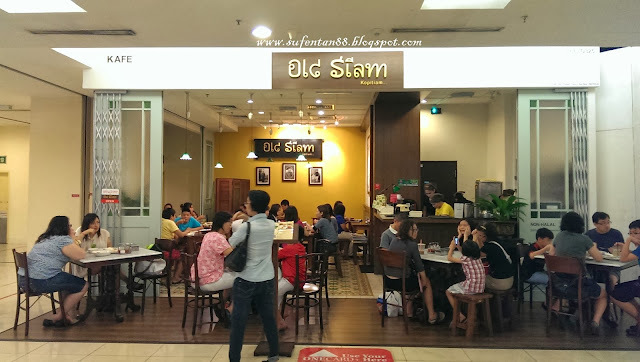 I discovered another new restaurant in One Utama recently. 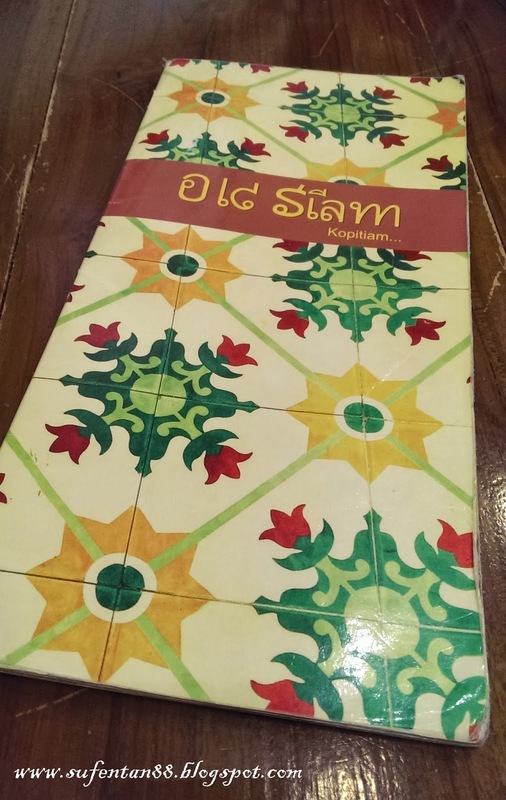 This place is called Old Siam Kopitiam, a small cafe that served Thai cuisine. 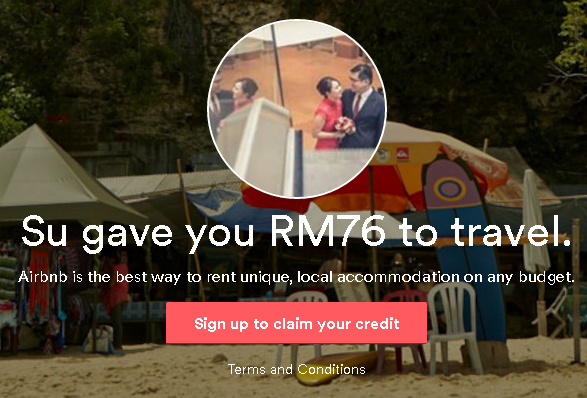 It is located at ground floor, just opposite a Penang cuisine restaurant. 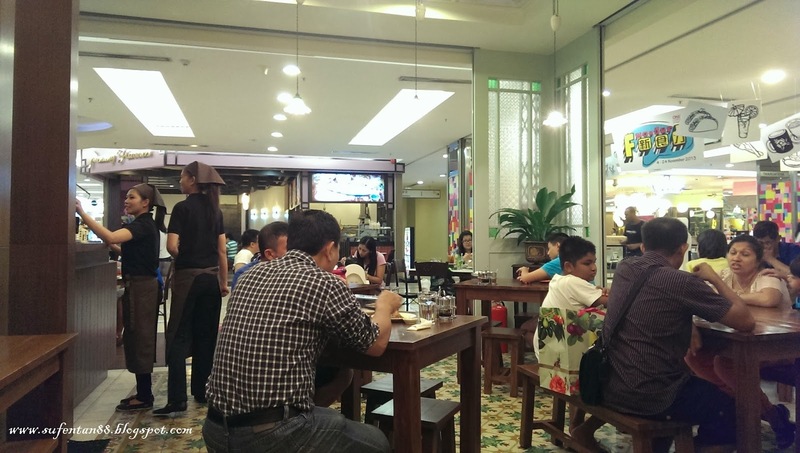 This is a strictly non-halal outlet, most of the dishes come with pork. If you are looking for quick lunches, I would recommend you here. They served quick meals like rice and noodles. Although this small cafe is not eye catching when you walk pass it but the seats always filled up with customers. 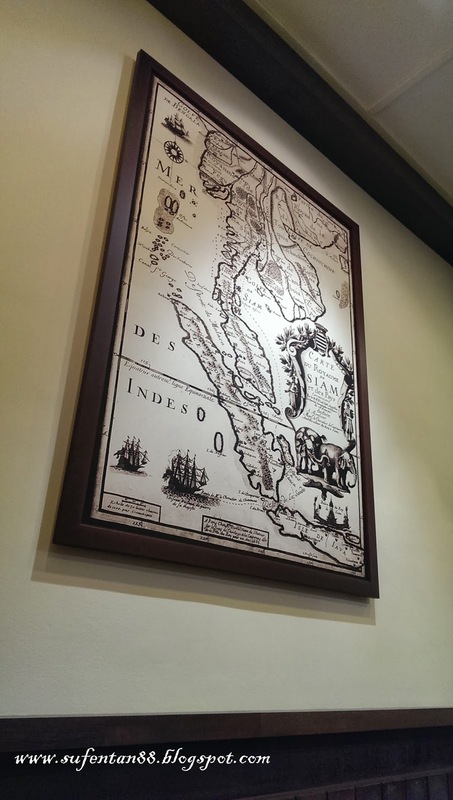 The decoration in the cafe is simple with wooden tables and chairs and some old photos on the wall. 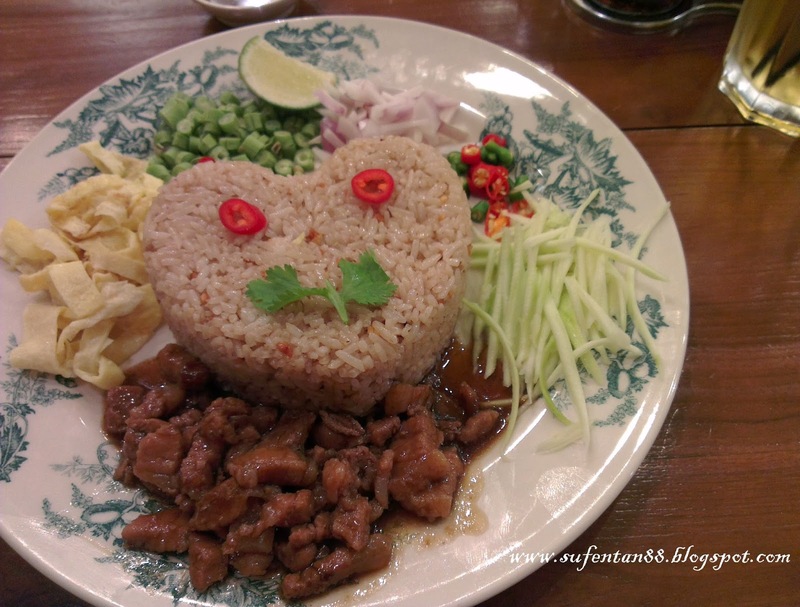 This is a Thai Belacan rice served with their sweet pork and condiments. I like the way they cook the sweet pork, however it would be better if there is a little bit more of gravy as when it is all mix together the rice seem a bit dry. Overall was good! They really know how to make our day happy serving us a love shape rice with a happy face on Friday! 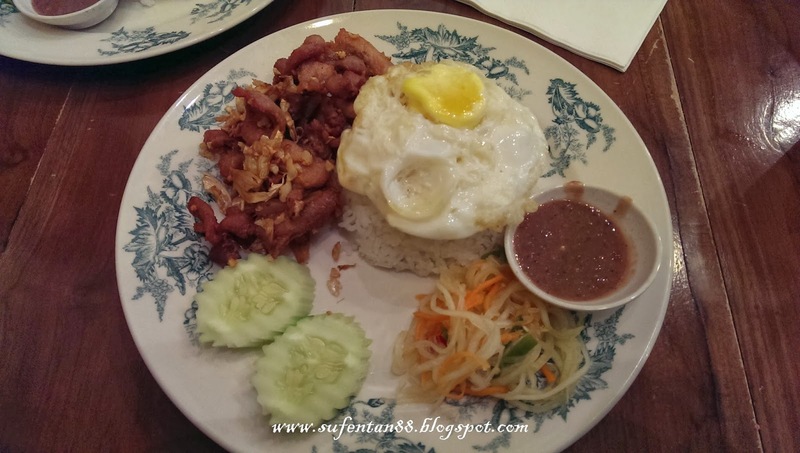 The dish served with deep fried pork with garlic, thai fragrant rice, some salad and a fried egg. Although the dish look simple, but the deep fried pork does change our perception, especially when you eat with the sambal (chilli). Simple and nice! 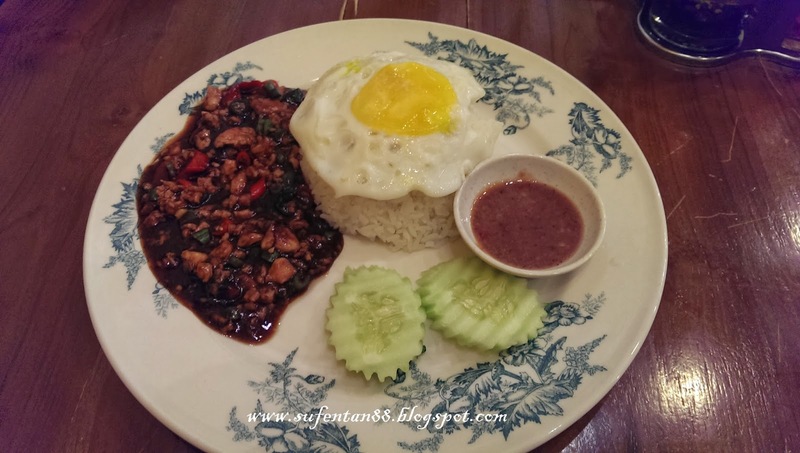 I ordered the stir fried chicken with Thai basil served with Thai fragrant rice and a fried egg. The chicken was cooked with basil leaves with lots of chilli padi (red and green), so the spicy level is no joke. I still love it although it make me sweat and tongue burning while eating. I love the most about this place is the bill, free from govt. tax and service tax. The bill now come will a 5% service charge and 6% gst. 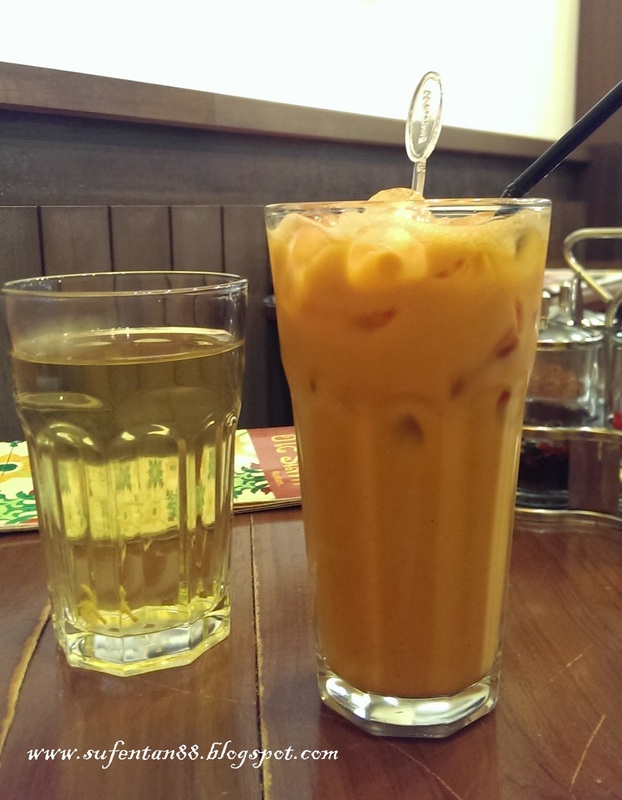 Food is good and price is reasonable for a Thai food, definitely coming back for more!